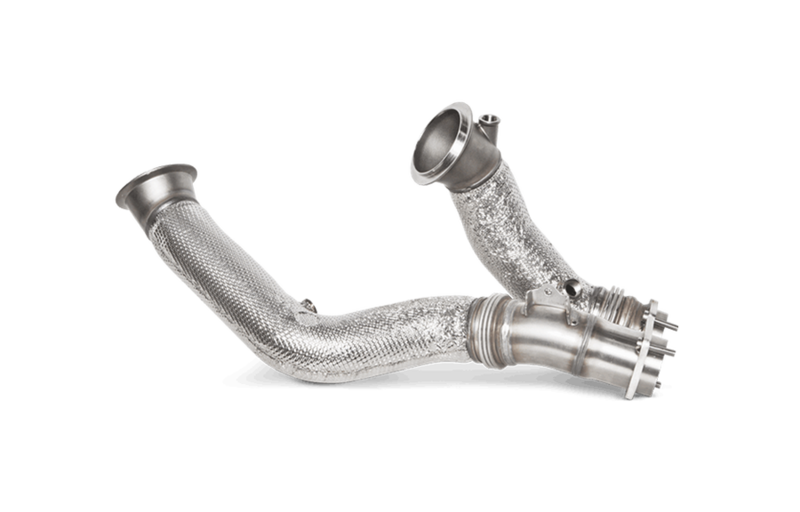 For the ultimate in weight reduction, tuning potential, and racing sound, Akrapovič offers stainless steel cat-less downpipes to make the BMW M3/M4 an even more powerful machine. This setup is intended for dedicated track-day cars and enthusiasts, and it will also add to the overall experience of what’s already a stunning performance car for any discerning driver. Delivering great sound, without creating unwanted cabin noise, these beautifully-crafted downpipes offer an upgrade to Akrapovič’s Evolution exhaust system. When installing Akrapovič aftermarket optional downpipes, which are developed for use on closed tracks only, remapping the ECU is mandatory, in order to prevent potential »check engine light« warning signals.